The ‘Friends of Johnny Clegg’ are raising money for SA education. A group of famous musicians have come together to record a version of Johnny Clegg’s song The Crossing. Clegg, who was diagnosed with pancreatic cancer in 2015, retired last year after the Final Journey tour, which culminated in a series of sold-out shows at the Ticketpro Dome. Proceeds for the song will go to the ‘Friends of Johnny Clegg’ fund, which seeks to raise money for education in South Africa. 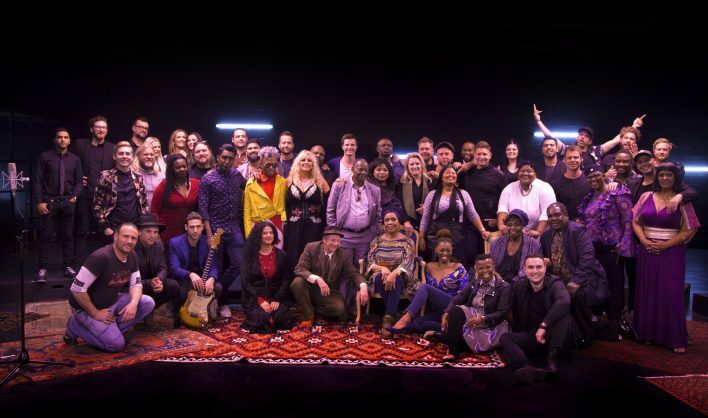 The musicians include Karen Zoid (who is one of the main organisers), Lira, Kurt Darren, Gloria Bosman, Jack Parow, Judith Sephuma, Vusi Mahlasela, Dorothy Masuka, Zolani Mahola, David Kramer, US rock star Dave Matthews (who hails from SA) and, somewhat inexplicably, Somizi Mhlongo. The song has been well received, and Johnny Clegg has been trending on Twitter as a result. Oh so that’s why Johnny Clegg is trending, hahaha. Phew.